COMEDY ADD SCI-FI DIVIDED BY DOCUMENTARY EQUALS FUN-FUN-FUN! DVD, or not DVD, that is the Blu-Ray. Whether 'tis nobler in the mind of Kevin Hart, the slings and arrows of outrageous fortune. Or to take arms against a sea of Dwayne Johnson's, and, by opposing, end them. To die, to sleep, perchance to McCarthy, that's Melissa McCarthy. No more-and by a sleep to say we end, as an end would imply an Ingrid Bergman, a Jeff Goldblum, and a Sigourney Weaver. The heartache and the thousand natural shocks, that flesh is heir to-'tis a consummation, devoutly to be wished. Here are thy selections. Through never-before-seen private footage, notes, letters, diaries, and frank interviews with her children, this documentary presents a personal portrait and captivating look behind the scenes of the remarkable life of a young Swedish girl who became one of the most beloved and celebrated actresses of American cinema. Screened to rave reviews at the 2015 Cannes Film Festival, during what was the centenary of Ingrid's birth, the film takes an unprecedented look at an iconic starlet who always knew she was destined for fame. From her early passion for film and theatre to her Hollywood ascent and notorious, scandalous romances, Bergman retained a fervent love for her family and adeptness for scrupulously recording her own life. 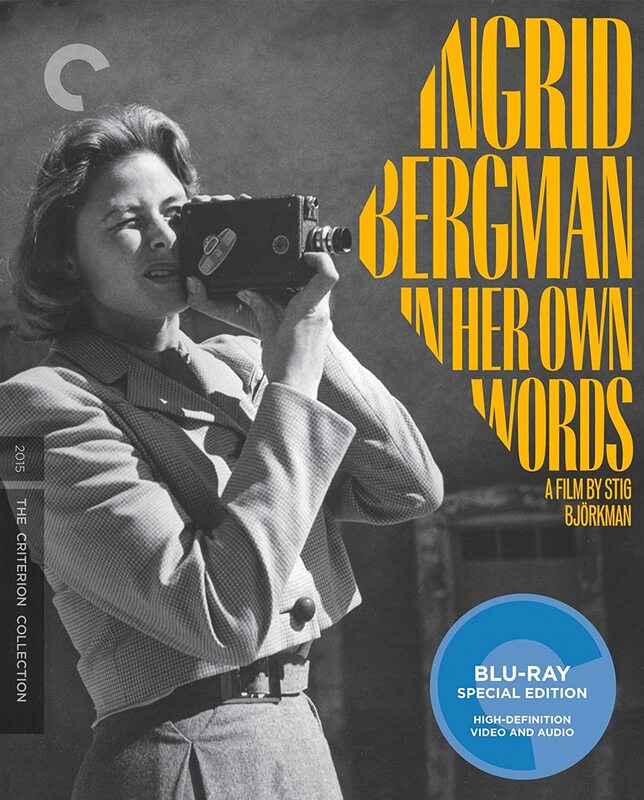 Lovingly assembled by filmmaker and critic, Stig Björkman, who has previously written extensively on the likes of fellow cinematic legends, Ingmar Bergman and Woody Allen, and with Bergman’s writings voiced by Oscar-winning actress, Alicia Vikander, Ingrid Bergman: In Her Own Words is a remarkably insightful and intimate depiction of a woman whose strength and accomplishments continue to inspire today. Release Date: the 16th of August, 2016 / Running Time: 114 minutes / Genre: Documentary / Special Features: Yes / Distributed by Criterion. 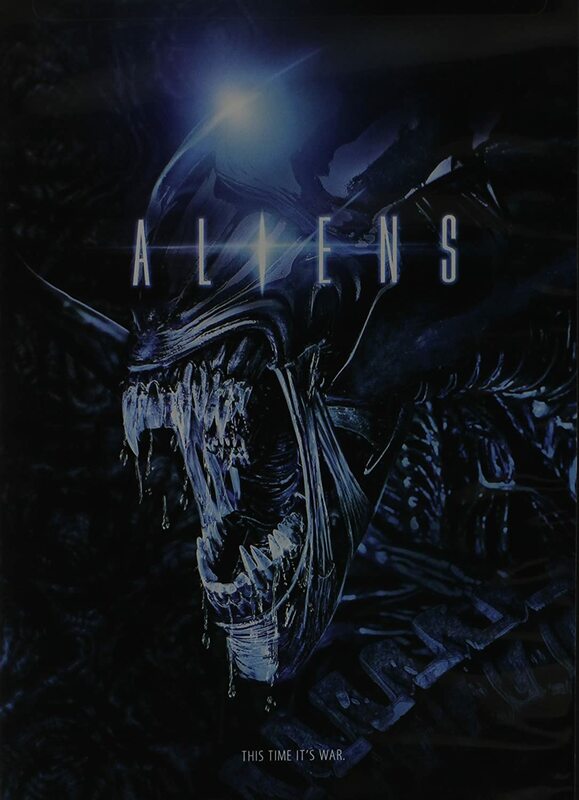 To celebrate three decades of pulse-pounding action and bone-chilling suspense, Aliens: 30th Anniversary Limited-Edition, will feature both the Theatrical and Special Edition, complemented by audio commentary, deleted and extended scenes, and more. 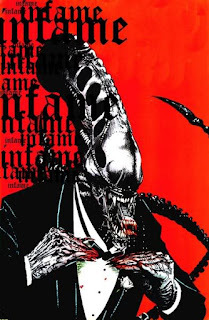 It also includes collectible art cards, and a book featuring art from the Dark Horse Comics Aliens series with an all-new cover created exclusively for this 30th Anniversary Edition. In 1986 James Cameron directed this critically acclaimed sequel which starred Sigourney Weaver as Ellen Ripley, the sole survivor of the Nostromo’s deadly encounter with the monstrous Alien. After drifting through space in hypersleep, Ripley returns to Earth, haunted by nightmares of the past. Even though her story is initially met with disbelief, she eventually agrees to accompany a team of Colonial Marines back to LV-426, and this time, it’s war! Release Date: the 13th of September, 2016 / Running Time: 157 minutes / Genre: Scf-Fi / Special Features: Yes / Distributed by 20th Century Fox. Twenty years after a group of mysterious aliens nearly wiped out the whole of humankind, they’re back, back with a vengeance, in this explosive sequel to the original blockbuster hit, Independence Day! 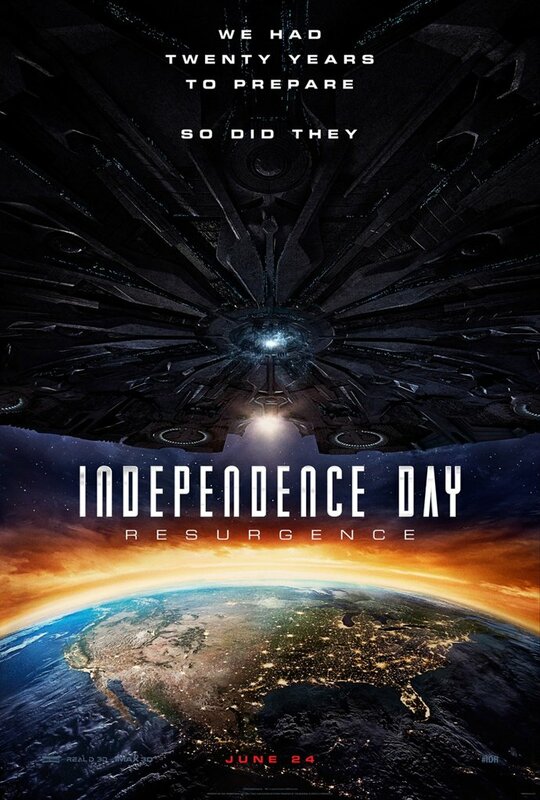 Starring Jeff Goldblum, returning as the brilliant scientist, David Levinson, and co-starring Liam Hemsworth, Jesse T Usher, Bill Pullman, and Brent Spiner, Independence Day: Resurgence sees the nations of Earth come together with the intent of saving the planet using recovered alien technology. Along for the ride this collection also has some amazing special features which include: eight deleted scenes, a featurette on “The War of 1996”, the morning show parody featuring Jeff Goldblum, Judd Hirsch, and Liam Hemsworth, a gag reel, audio commentary from Roland Emmerich, the documentary 'Another Day: The Making of Independence Day: Resurgence', and more. Release Date: the 18th of October, 2016 / Running Time: 120 minutes / Genre: Sci-Fi / Special Features: Yes / Distributed by 20th Century Fox. 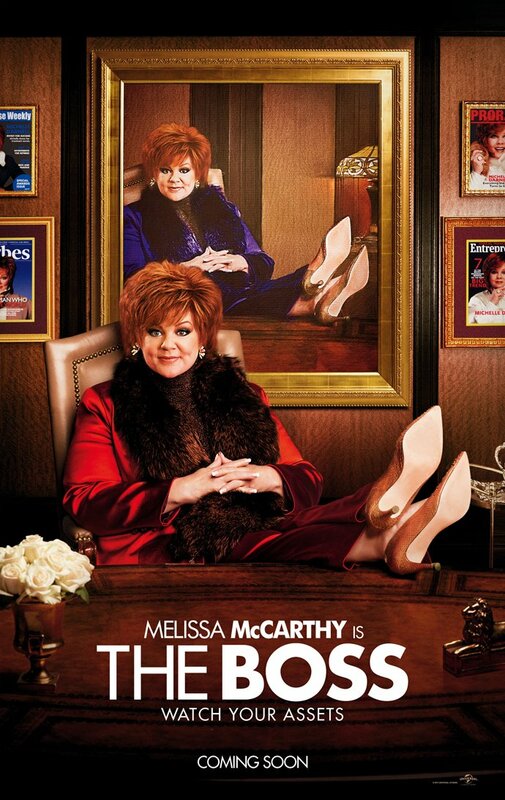 From the creators of 'Tammy' comes The Boss, a story about America’s richest woman, Michelle Darnell (as played by Melissa McCarthy), who's a titan of industry that's been sent to prison for insider trading. After doing her time, and doing her time well, Michelle emerges like a lady reborn, ready to rebrand herself as America’s latest sweetheart. But alas, she soon finds out that not everyone she has steamrolled is so quick to forgive and forget. McCarthy is accompanied on this film by Kristen Bell (Bad Moms), Peter Dinklage (Game Of Thrones), Kathy Bates (American Horror Story) and Cecily Strong (Saturday Night Live), and its guaranteed to have fans in hysterics when it’s released this autumn! 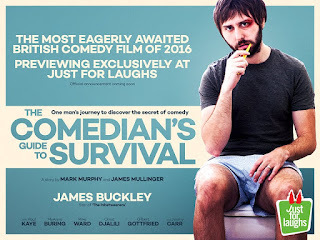 Release Date: the 24th of October, 2016 / Running Time: 99 minutes / Genre: Comedy / Special Features: Yes / Distributed by Universal. Failed comedian, James Mullinger (based on the eponymous, real-life comedian), has come to a crossroads in his life. No one wants to see him perform. His wife is fed up with his way of life. And his day time boss has given him a final ultimatum -- take a promotion and never do stand-up again. Also, to add insult to injury, his boss, the editor of COQ Magazine, wants him to interview the greatest comedians in the UK and North America for an upcoming comedy special. 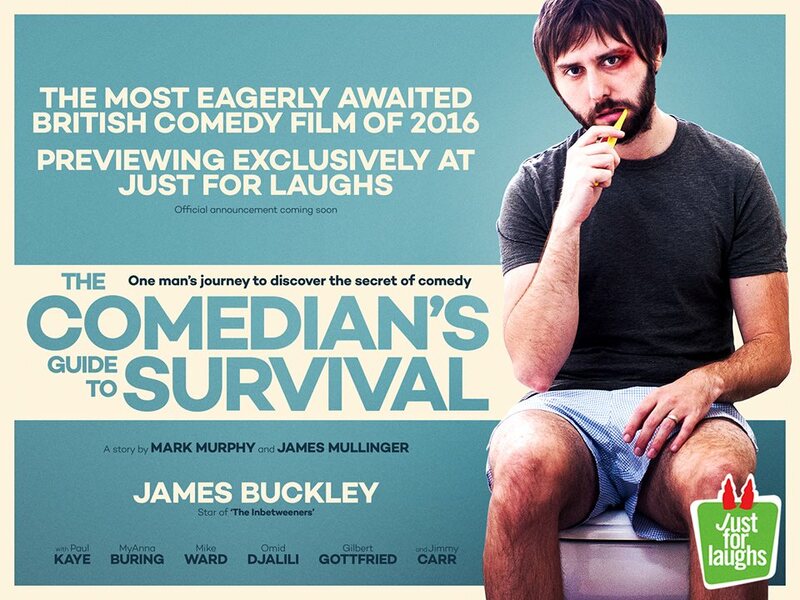 Starring James Buckley (The Inbetweeners), Paul Kaye (Doctor Who), MyAnna Buring (Downton Abbey), Tim McInnerny (Blackadder), Mark Heap (Green Wing), as well as a number of cameo appearances made from the likes of such international comedy talent as Jimmy Carr, Omid Dejalili, Gina Yashere, Gilbert Gottfried, Mike Ward and Luenell, The Comedian’s Guide To Survival is this year’s must see Brit-com! Release Date: the 28th of October, 2016 / Running Time: 81 minutes / Genre: Comedy / Special Features: TBA / Distributed by Signature Entertainment. Twenty years ago, Calvin Joyner (Kevin Hart) was an extremely popular and athletic student who helped save his helpless, obese classmate, Bob (Dwayne Johnson), from a truly humiliating experience. Today, Calvin is an accountant. Yes. I said an accountant. Whereas Bob is a lethal CIA Agent who meets Calvin at a class-reunion, only to ask him to help him out with a case he's involved with. Problem is, Calvin doesn't want Bob to know how he's changed. Ops! 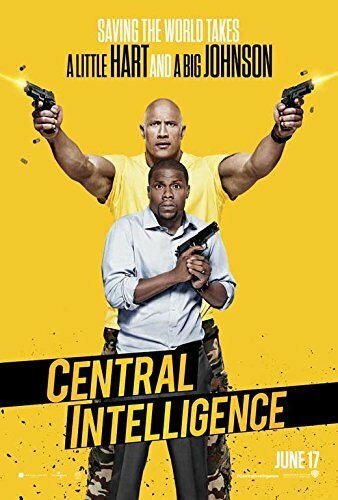 Co-starring Amy Ryan (The Office), Aaron Paul (Breaking Bad) and Jason Bateman (Horrible Bosses 2), Central Intelligence seems to be becoming the ultimate comedy to watch this year. Release Date: the 31st of October, 2016 / Running Time: 107 minutes / Genre: Comedy / Special Features: Yes / Distributed by Warner Home Video.